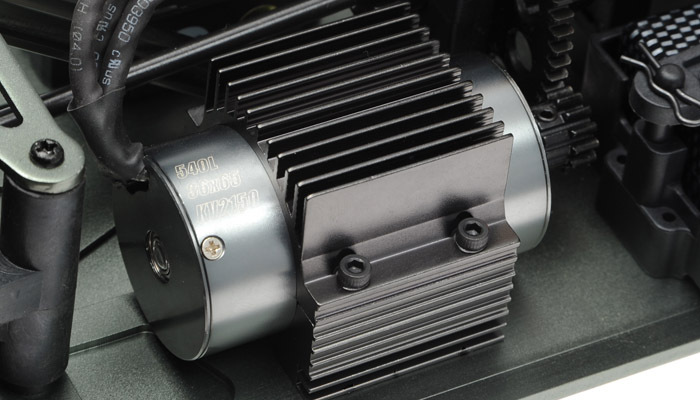 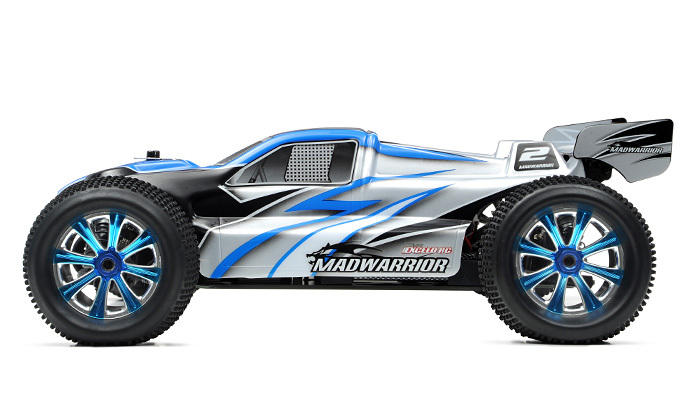 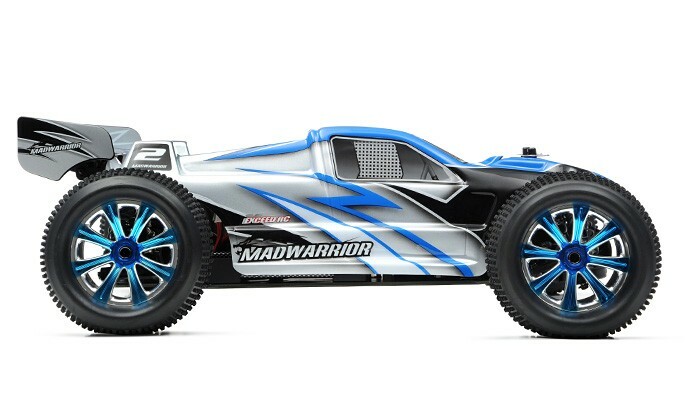 The new MadWarrior EP Racing Edition features a rugged 540L brushless motor rated at 2150kv and a 100-amp XeRun Programmable ESC. 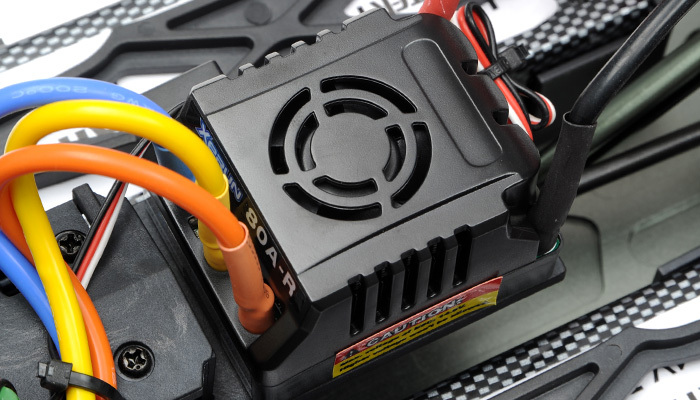 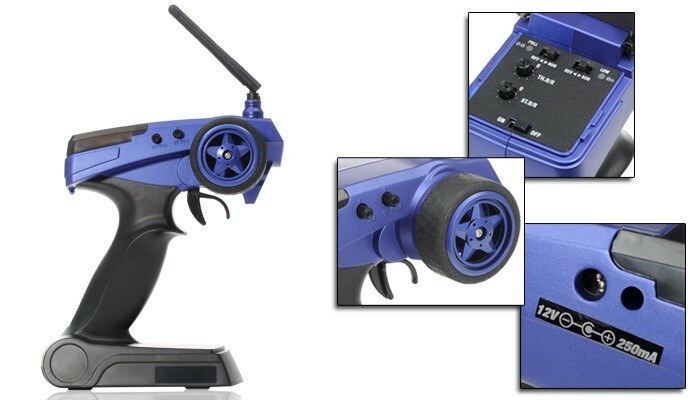 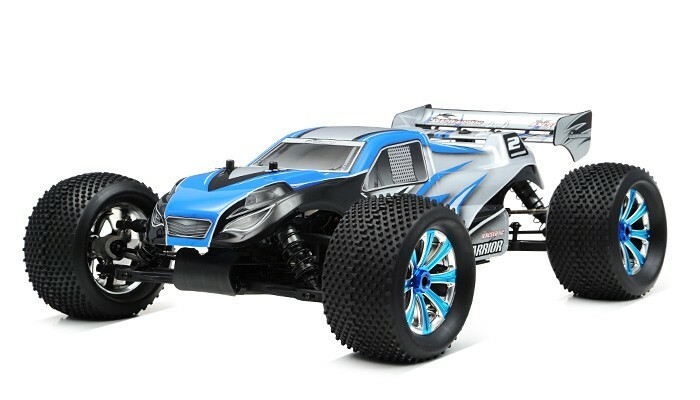 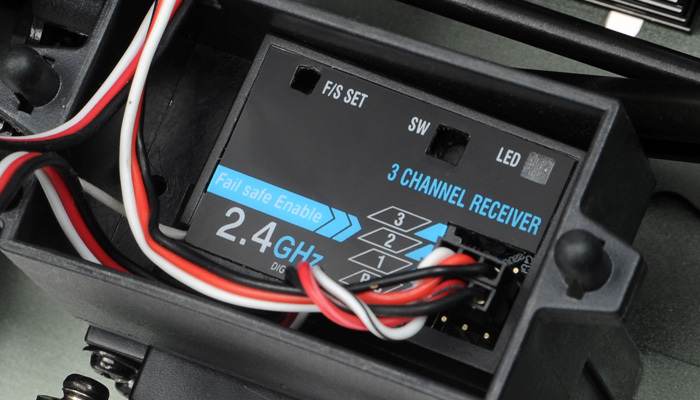 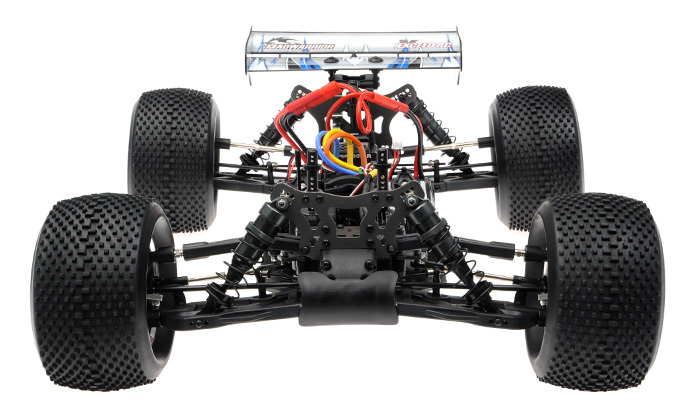 The truggy is powered by dual 7.4v 3300mAh LiPo batteries wired in series to generate a peak 14.8v. 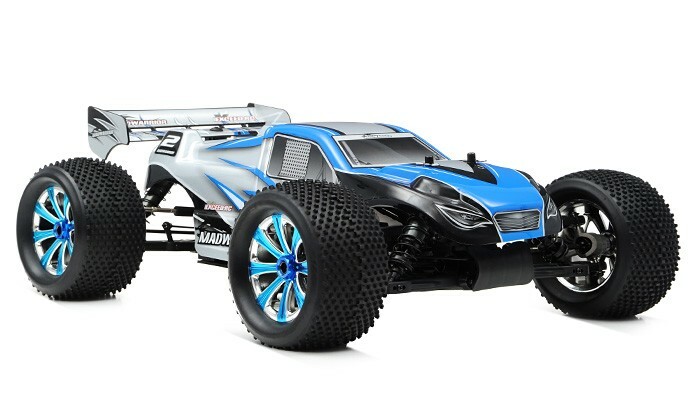 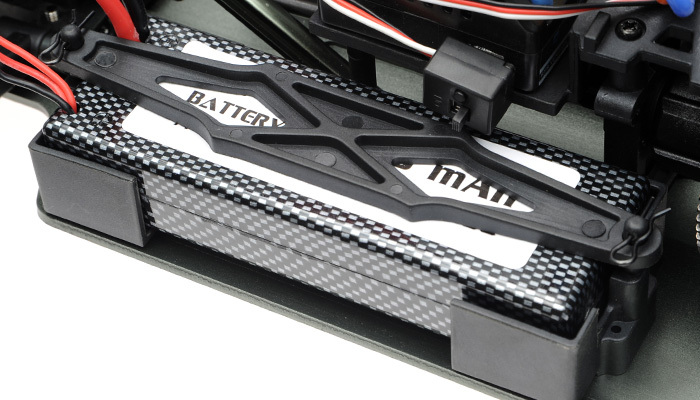 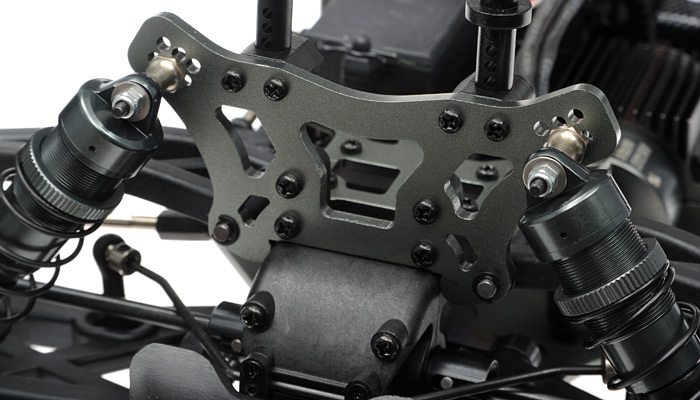 The MadWarrior EP Racing Edition is equipped with an anodized aluminum chassis, shock towers, top plate and chassis braces which adds to this truggy?s clean look and feel. 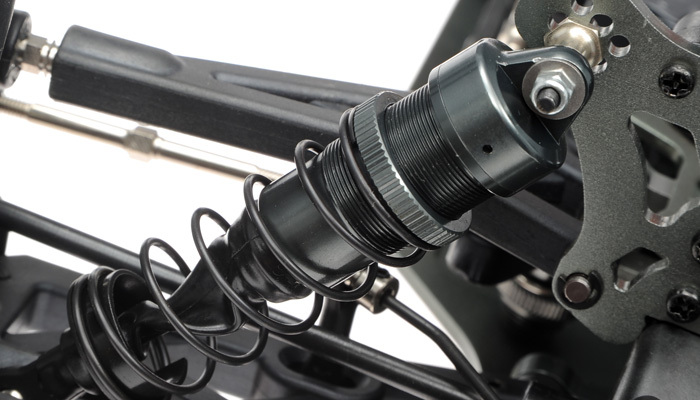 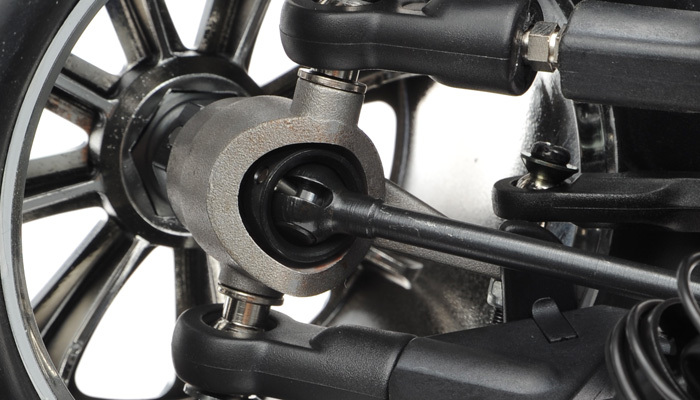 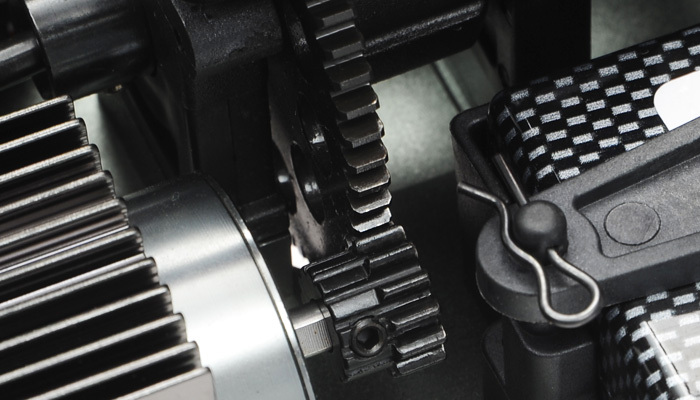 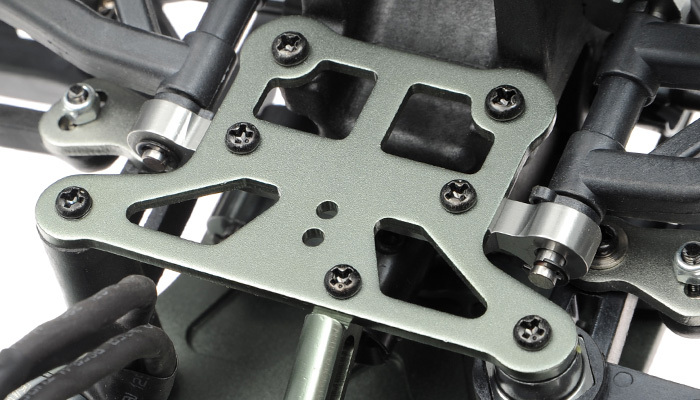 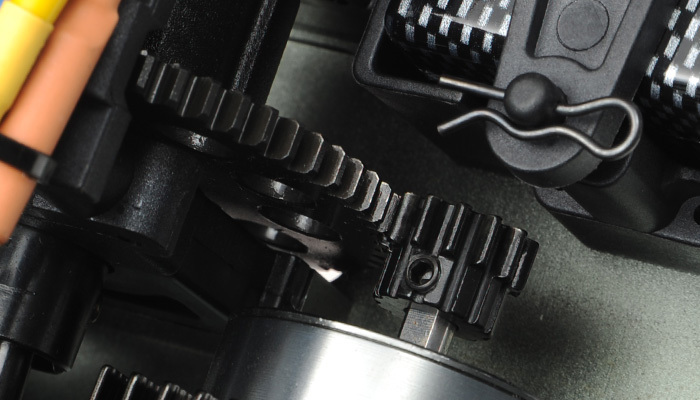 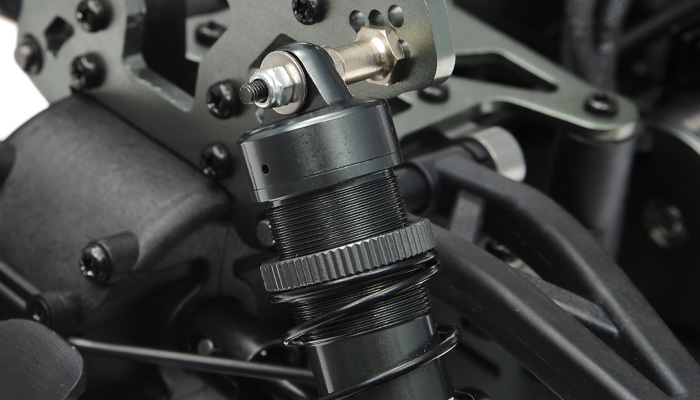 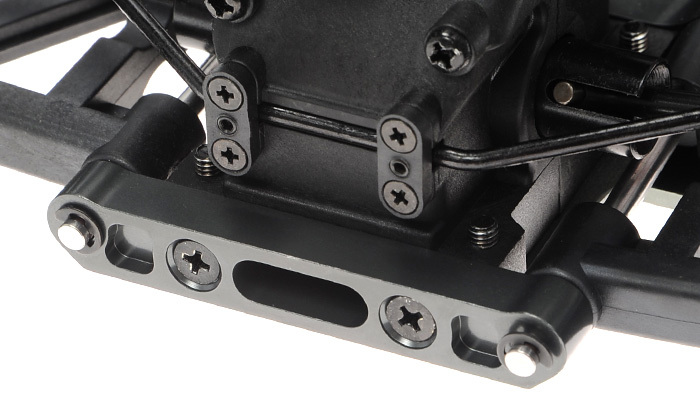 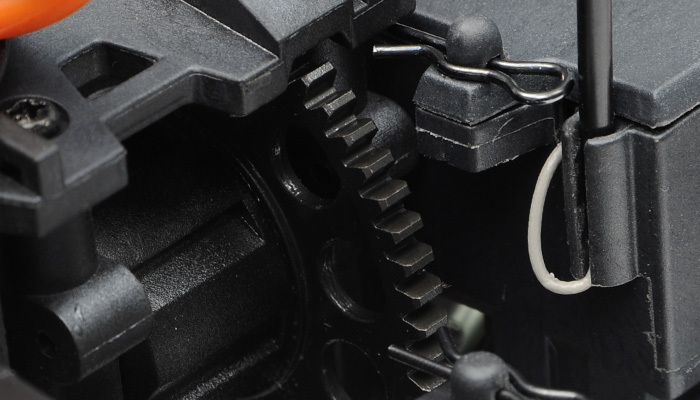 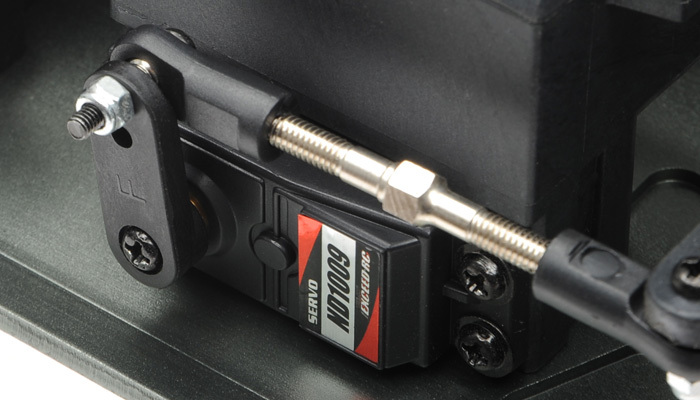 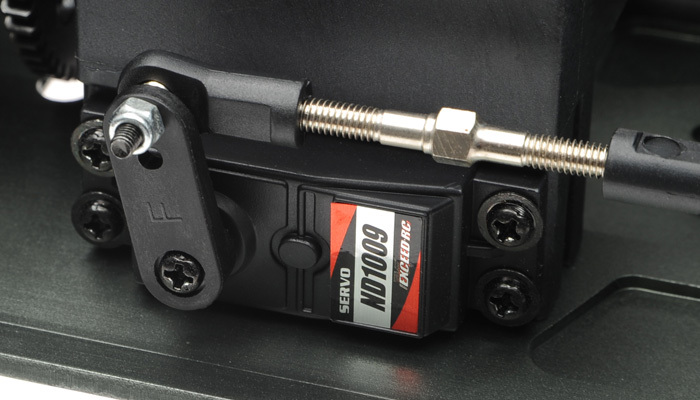 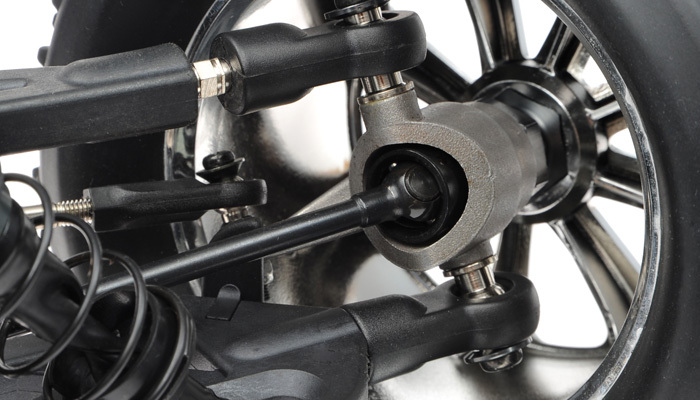 The MadWarrior EP is outfitted with CVD front axles and 16mm big-bore aluminum shocks with threaded shock collars. 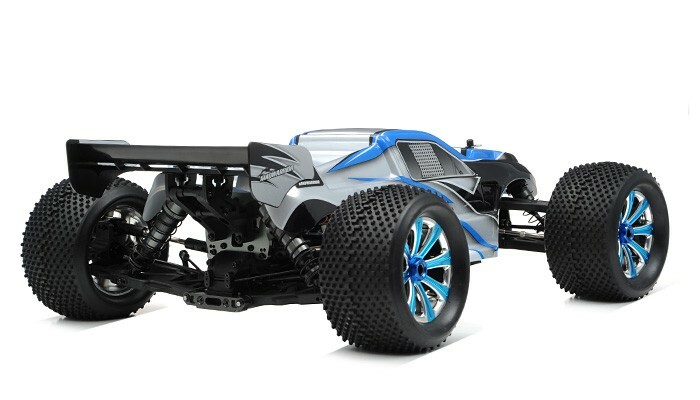 This awesome new platform rides on 5? 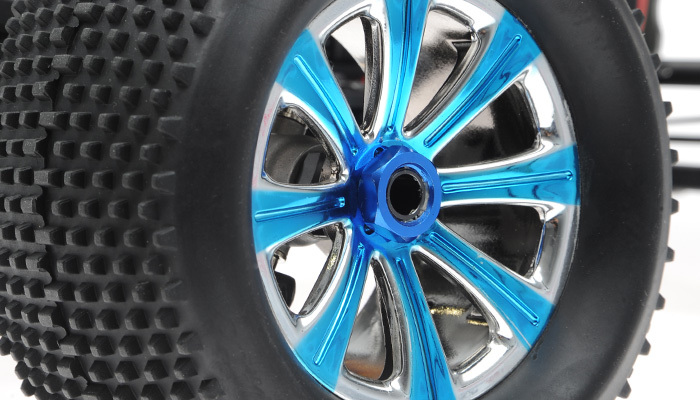 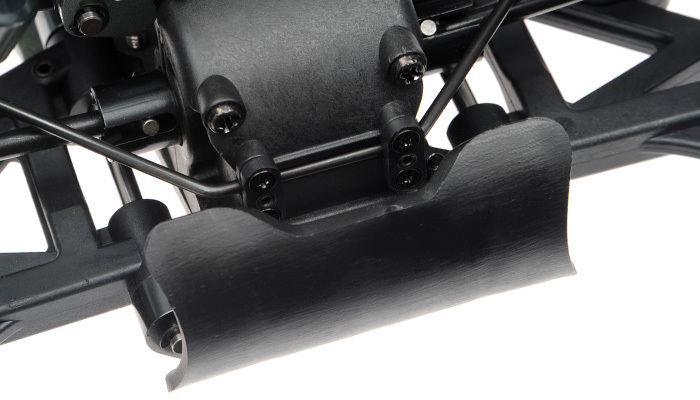 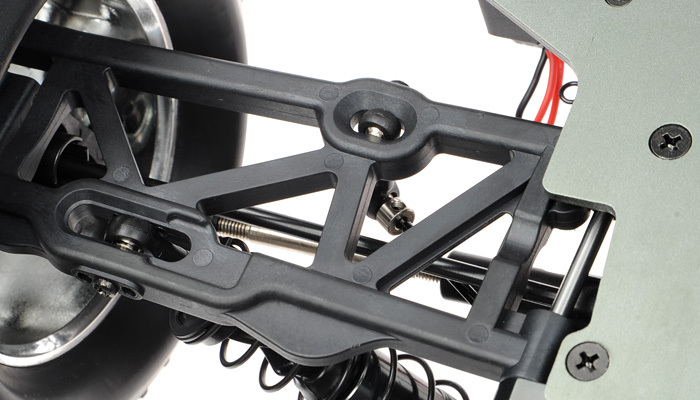 tires glued to a 17mm hex wheel adding to the sleek design of the chassis. 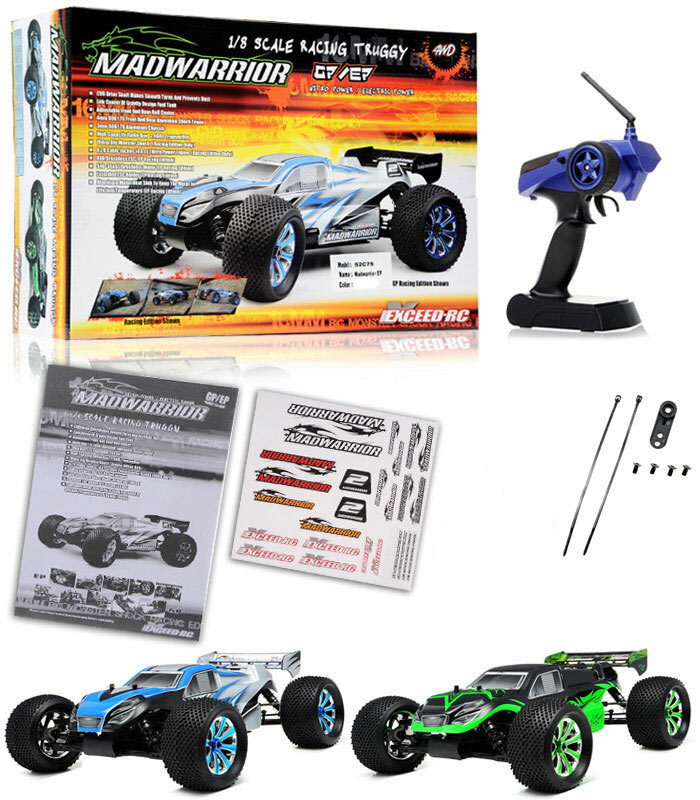 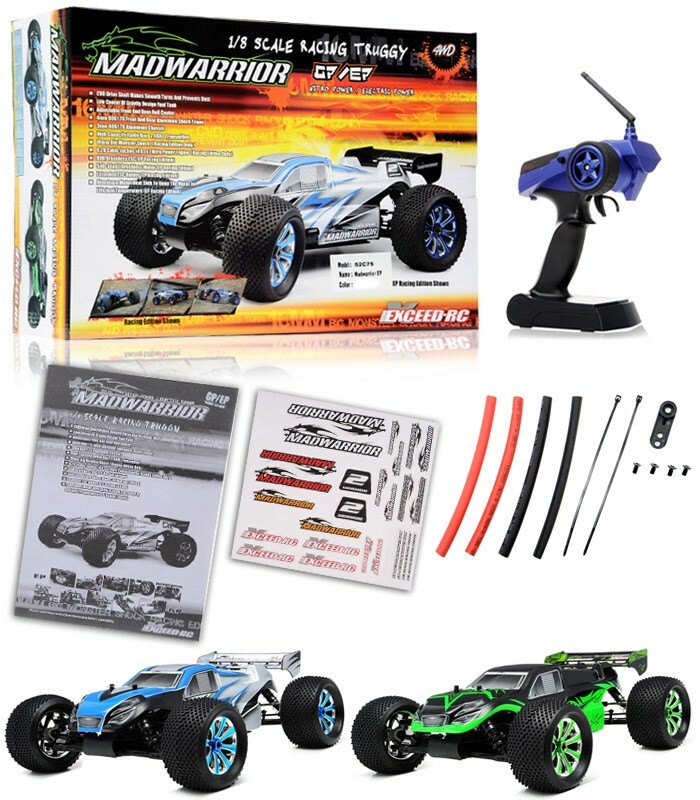 The MadWarrior EP Racing Edition is fully stocked with all these upgrades to handle the pressures of high-level competitive racing.